The development site is an area of urban fringe and greenfield land on the southern edge of Ampthill in Central Bedfordshire. Our Surveying team was appointed by Connolly Homes and Denison Investments at an early stage to carry out a detailed survey in preparation for this substantial residential application. The Woods Hardwick Planning team obtained the release of the Connolly Homes land, comprising a circa 5 hectare agricultural field off Flitwick Road on the southern edge of Ampthill, from the Green Belt in 2005. Our surveyors produced the detailed topographic survey of both the 19 hectare site area as well as all necessary offsite details. The additional 6 hectares of offsite detail included the adjacent roads, vision splays, drainage routes to adopted watercourses and public sewers, suitable retention reservoir locations and the proposed POS transfer areas.We also provided additional layered information superimposed on the topographic survey. All underground services were traced and the Land Registry titles investigated. From these we produce a ‘Constraints Plan’ covering the site ensuring the design processes were fully informed and capable of implementation. As a result of our involvement on this project and two other major applications nearby we were further instructed to carry out detailed topographic surveys of the by pass roundabouts together with the highways linking all three sites. 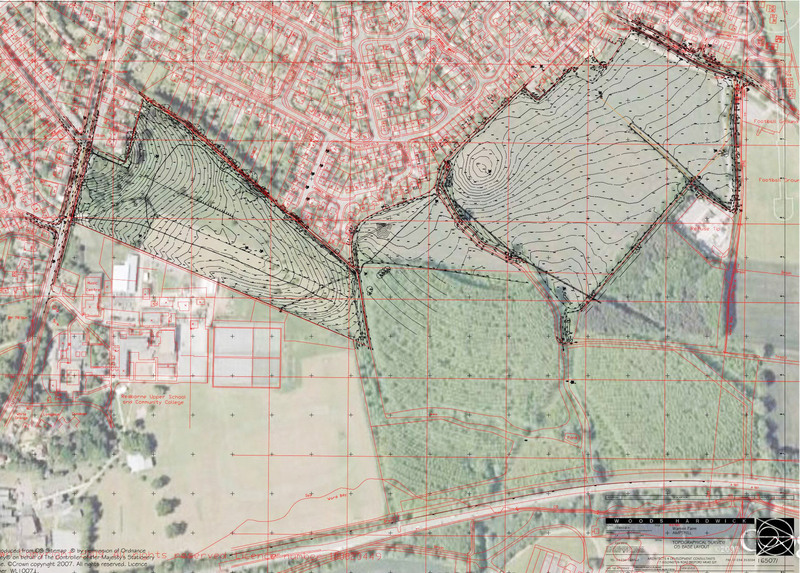 The Woods Hardwick Planning team secured the allocation of the land for residential development in 2011 as part of the wider 19ha site known as Warren Farm. 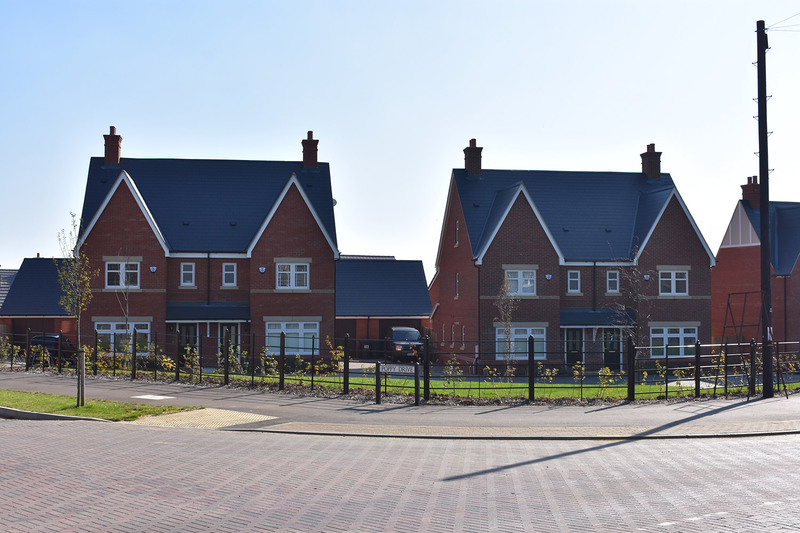 We acted as planning advisers on the outline planning application for the wider Warren Farm site, whilst also providing civil engineering and surveying services, with planning permission for up to 410 dwellings, together with open space, accesses and surface water granted in 2013. 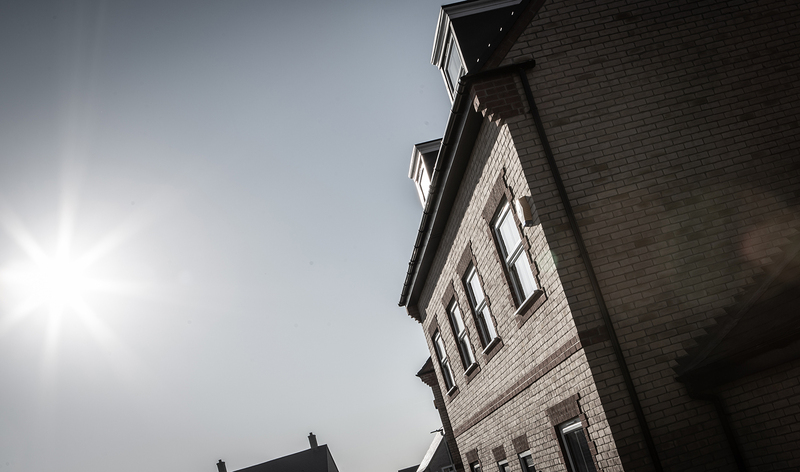 We were retained by Connolly Homes and Bloor Homes, the latter who acquired the remainder of the site, to coordinate the submission of the design code, reserved matters and applications for approval of details required by condition to facilitate the start of development. The site is now under construction.